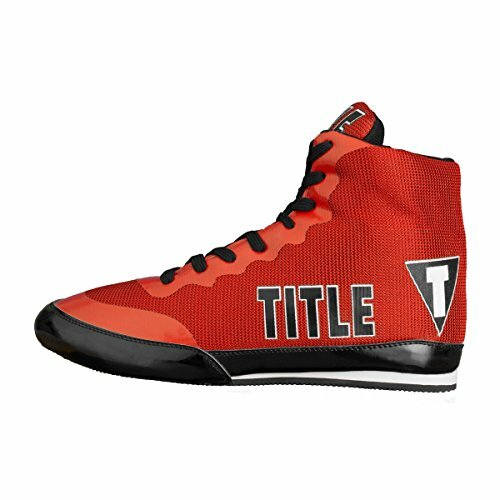 The Title Bout Champ Exploit boxing shoes are inexpensive and have the style of a much more expensive boxing shoe. The shoes come in a Title branded shoe bag that you can keep them in. Right away you will notice that they are extremely lightweight. The satin style body with faux leather accents really stands out in the gym. If you take a closer look at the craftsmanship, unfortunately you will notice some flaws. The glue used to attach the upper to the sole of the shoe is very sloppy on the heel and sides of both shoes. There is a lot of glue on the faux leather upper. I tend to find issues with the quality control of Title’s lower level product lines. When you put the shoe on you will find that they are very lightweight and the soles have good grip. I was also able to pivot well in them. The soles feel a bit stiff but I’m sure that will get better the more I use them. Outside of traditional boxing training, I have used them for my kettlebell routines and they make great overall weightlifting shoes due to the flat sole. The ankle support could be improved but it is adequate enough. They have support similar to a wrestling shoe which I find aids in mobility. The area where these shoes really excel is comfort. They have soft foam inserted in the ankles and the upper part of the shoe. This makes your feet feel like they are surrounded by pillows. The sole is not cushioned but it’s still comfortable to move around and jump rope in. 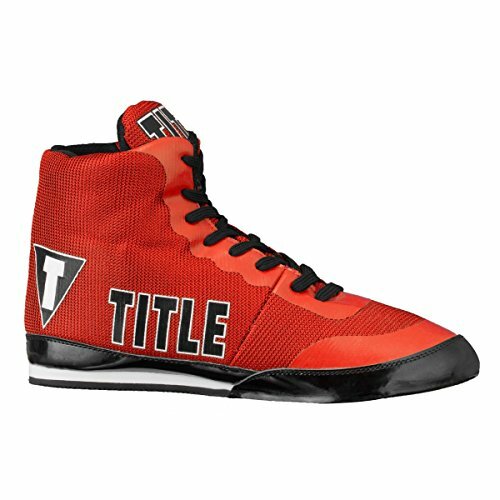 Overall these Title Bout Champ Exploit shoes are a good value. They do have areas that could be improved and the quality control is not top notch but for the price they are a great value. They’re very comfortable and they look amazing. The shoes appear to be durably built and are backed by a 120 day warranty. These shoes are not top of the line, but I highly recommend them to anyone in the market for comfortable and sharp looking boxing shoes on a budget. 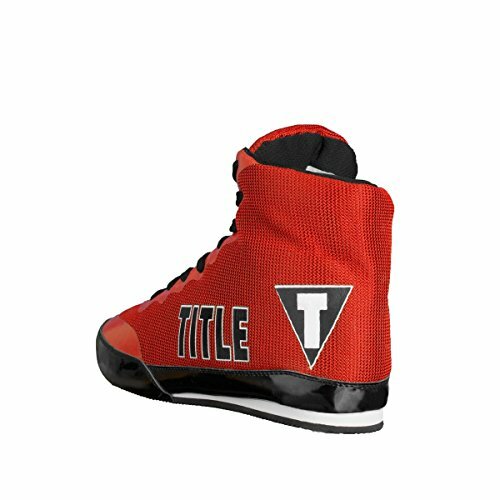 Title Bout Champ Exploit boxing shoes are great looking shoes that are lightweight for better endurance and footwork. They also make good gym shoes for kettlebell/weighlifting workouts. Perfect for anyone in the market for stylish boxing shoes on a budget. Sam purchased these Title Bout Champ Exploit Boxing Shoes himself for the full price. This did not influence the outcome of this review.